Inmates at the state’s only women’s prison were forced to huddle for warmth during the winter of 2017-2018 when the heating system failed for multiple nights, several former inmates told WyoFile. Inmates were told to drag mattresses and sleeping materials into the gym and other common areas where they would stay until around four in the morning, former inmates said. “It was below zero in some of the [housing units],” said Ashley Houchin, a former inmate who worked on a maintenance unit while incarcerated. During that winter Houchin was often roused from her bed at all hours of the night to try and keep heating and hot water systems going, she said. Other inmates said even when the heat was working the prison was so cold it made sleeping difficult. One inmate whose cell was on the end of the row and included two exterior walls said her cell was regularly “so cold that my blankets would freeze to the wall.” Prison administration denied requests to move bunks away from the frozen surfaces, former inmate Sarah Smith said. Other women recalled chipping ice off of cell windows. The accounts of former inmates came in response to WyoFile reporting on a motion filed by three current inmates at the Wyoming Women’s Center. That motion cited failures in the heating and cooling system as examples of “unconstitutional” conditions at the Women’s Center. 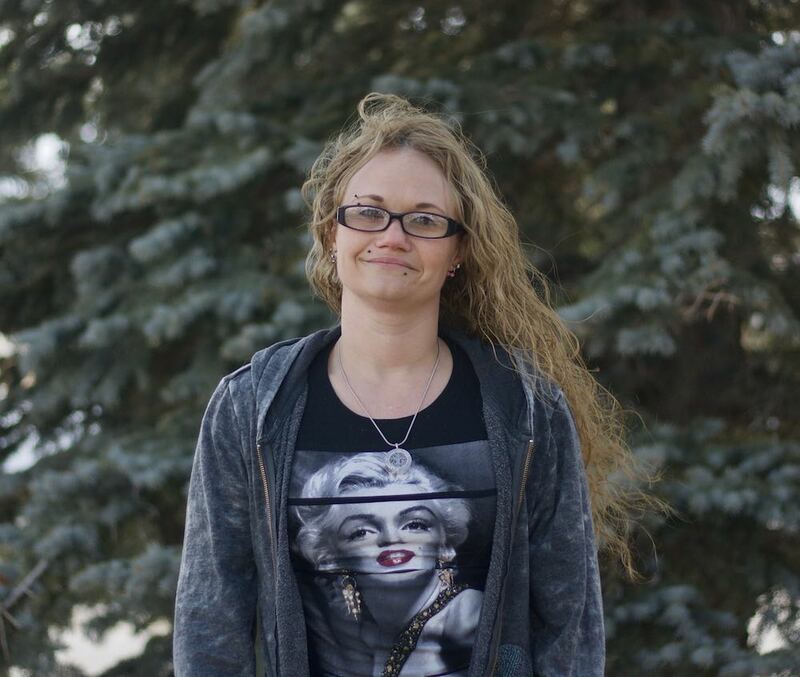 The chief plaintiff and a current inmate Sheryl Ellis said in a phone interview that the women being forced to sleep together in common areas reminded her of cattle huddled in cold Wyoming winds. The former inmates WyoFile spoke to in recent weeks also echoed numerous other complaints outlined in the lawsuit. Not every woman had the same recollections, but several areas of concern were raised by more than one former inmate. Ceilings at the prison crack and leak, they said and the facility is overcrowded. Transfers to county jails — necessitated by a lack of bed space in the prison system — has also become a dark new form of punishment for inmates serving long sentences, they claim. Some former inmates described the prison as a positive turning point for their lives. Others did not. Dodd went through “hell” in the prison, she said. The Wyoming Department of Correction’s facility, programming and staffing struggles are well documented. There have been years of reports and pleas to the Legislature for more funding for repairs and needed salary increases, as well as for criminal justice reforms to stem the constant inflow of inmates. The voices of current and former inmates have been largely absent from those public discussions. These latest accounts suggest those funding and crowding struggles have chipped away at the state’s correctional system and are impacting the inmates in it. 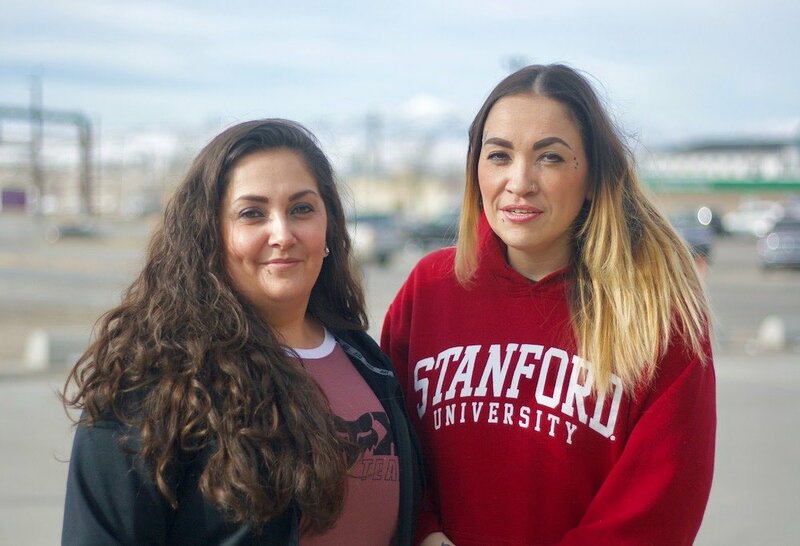 Many of the women interviewed by WyoFile described the conditions — particularly the stays in county jails where education is interrupted and few opportunities for development exist — as detrimental to their chances for rehabilitation. WDOC has declined to comment on the specific concerns raised in Ellis’ lawsuit, citing the pending litigation. The lawsuit which was filed in November has yet to be acted on by a judge. The most recent action on the docket came on Feb. 27, when one of Ellis’ co-plaintiffs filed a motion to be removed from the case. A WDOC spokesperson responded to four of the eight points WyoFile raised in an interview. The others could be addressed in “potential litigation,” spokesman Mark Horan wrote. Malfunctioning heat and women huddling together for warmth were among the events WDOC did not address. As an inmate, Houchin worked on a maintenance crew with Dawn Jackson, another former inmate. Both recalled being called out of their cells in the middle of the night to try and keep the heating unit and hot water heaters running throughout the winter of 2017-2018. “We were freezing all the time,” Houchins said. At “1, 2, 3, 4 [a.m.] they would get us out of bed to go work on this stuff.” Houchins recalled being directed onto the roof to try to fix the heating system in the middle of the night while watched by an officer. Houchin’s “quick thinking and sound action” averted damage to laundry room equipment, Catron wrote in a letter to Houchin reviewed by WyoFile. In his letter to the ACLU, Lampert also addressed inmate concerns about leaks. Parts of the prison roof are leaking, the director said, and his agency is pursuing funding and contracts to fix it. In the meantime, the prison staff have had to “remove ceiling tiles and place buckets to catch the water when there is a rain or snow event,” Lamper wrote. “Fortunately, these events have been fairly rare,” he said. Lampert also addressed inmates’ concerns about tiles falling from the ceiling. “Any tiles which have become compromised due to water intrusion via the roof have been removed and in some instances replaced when the actual source of the leak is identified and repaired,” he wrote. Former inmates described ceiling tiles falling regularly. “There would be pieces of the ceiling that would fall out in our cells,” Dodd said. Some nights, she said, she’d pull damaged tiles off the ceiling and store them in her cell’s trash can, so that a falling tile wouldn’t strike her in her sleep. On Sep. 18, 2018, Dodd wrote to her father about a tile that fell “more than 19 feet” in one of the “day rooms” where inmates congregate, pass time and meet for group classes. “The titles [sic] could have fell on us in class. Not safe,” she wrote in the letter, a copy of which she provided to WyoFile. Another former inmate, Kristen Darrah, also recalled inmates taking care to avoid being struck by falling ceiling tiles. Houchin said the ceiling in her cell “caved in” and water flowed into the cell. “They pretty much put a band-aid on everything in that place,” Houchin said. As Wyoming’s prison system has grown overcrowded, the Department of Corrections has relied on county jails to house an increasing number of inmates. Intended for shorter-term lock-ups, county jails lack even the limited amenities of the prison and rarely provide the same level of education, vocational opportunities or counseling services prisons provide to help inmates rehabilitate themselves during long sentences. As of Feb. 6, there were 24 female inmates housed at two county jails and 12 women housed at the men’s medium-security prison in Torrington, according to the DOC. Both current inmates and those on the outside say jail stints have become an informal means of punishment. Prison officials have made that threat clear, they claim. Inmates who fight, or those who engage in romantic relationships risk a transfer to a county jail, inmates said. So do inmates who create trouble for prison administration, one former inmate suggested: “If I’m going to have a problem with you we’ll just go ahead and send you to county jail you can come back in six months and see if things have changed,” is how former inmate Darrah described one exchange with prison officials. In her legal complaint, which asked a federal district court to force the state to act on issues in the Wyoming Women’s Center, Ellis described being transferred to the Platte County Detention Center in Wheatland. There, she alleged in her court filing, her privacy was violated when she was kept in a cell for suicidal prisoners that had a camera in it watched by male guards. Angela Jones, who is now out of prison but served in the Platte county jail with Ellis, also recalled the cameras. “When we were going pee, yea we were being watched,” she said. In a letter Ellis provided to WyoFile, a sheriff’s deputy with the Platte County Sheriff’s Office disputed the claim. “Every inmate and staff member in this jail are under 24hr monitoring with the exception of when they are using the bathroom or showers as far as video monitoring goes,” the sergeant wrote. The sergeant’s also made clear in his letter whose rules applied when Wyoming Department of Corrections inmates are sent to county jails. “The rules of this facility come before any rules you have to follow for DOC while you are being housed at this facility,” he wrote. Jones recalled being transferred from the prison in Lusk to the jail in Wheatland the day before her children were coming to visit her. She laid on the ground in protest, she said, and told officers “I’m not going. I want to see my kids.” Her protests were in vain, she said. In the prison, inmates can visit with family and loved ones in person. When Jones saw her children in Wheatland, she said, she had to speak to them through glass. Compared to the jail, Jones called the Wyoming Women’s Center a “luxury” prison. Jail conditions heighten a feeling of being warehoused with no means of self-improvement and few ways for those serving long sentences to productively occupy their time, former inmates who experienced jail transfers said. WyoFile spoke to three former inmates whose prison time included stints in jails, and to the relatives of an inmate currently held in a county jail. “It was a dirty county jail where there were no windows to the outside,” said Tessa Rice, who spent several weeks in the Goshen County Detention Center with 12 other inmates from the Wyoming Women’s Center. At the WWC, “I had exercise, I could go to the gym,” Rice said. But in Goshen County, there were few services, no opportunities for counseling or education. There was little to do but sit and watch TV in the far-smaller jail facility. “We were sitting on top of each other pretty much because there was no room,” Rice said. The transferees were not told how long they would have to stay in Goshen County, she said. Some of the transferred women were serving lengthy sentences. “I remember feeling so hopeless,” Rice said. Aleasha Morgan, who contacted WyoFile separately, overlapped with Rice in the Goshen jail. Morgan arrived at Lusk in December to serve a four-to-eight-year sentence. She was transferred to the jail in May and stayed longer than Rice, she said. “I had just got there [to Lusk], got settled in, got ready to do this prison thing but they shipped us out,” Morgan said. She was working on her GED and took classes before she was transferred to the jail. Once there, Morgan had to fight to take the last test she needed for her GED, she said. The few windows in the county jail were frosted over, she said. “We didn’t see sunlight,” Morgan said. “That might be fine for the weekend drunk,” she said, but is unhealthy and unproductive for long-term inmates. Rice agreed. “We weren’t doing county time,” she said. Conditions at the jail were so despairing, both Morgan and Rice said, that one woman made herself a deliberate nuisance — arguing with guards, kicking at the cell door, even threatening suicide — until the jail sent her back to the WWC to be rid of her. 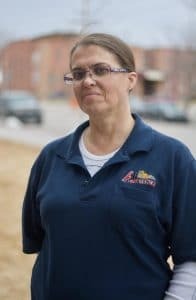 Case workers from the women’s prison visit the jails “on a regular basis” to meet with inmates housed there and review the women’s needs, Horan wrote in WDOC’s statement. WDOC is adding education programming at the prison, Horan said. Computer programming classes are on hold due to a retirement, but funding for a welding program at nearby Eastern Wyoming College was recently restored after two years of being frozen. “This will be an extremely popular course,” Horan said. 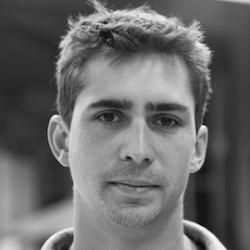 He provided a list of other programming that ranged from educational opportunities to personal improvement options. Leadership at the Wyoming Department of Corrections has a history of success when it comes to preventing recidivism — keeping people who leave prison from returning. In 2016, before state leaders began cutting budgets, the state’s recidivism rate was one of the lowest in the nation — 23 percent. In December 2017, WDOC director Lampert said his agency had been seeing the number of offenders failing on probation and parole beginning to rise, an early sign that recidivism could increase. The Legislature took steps to arrest prison growth this year, creating more alternatives to re-incarceration for parolees and probationers who violate the conditions of their supervision but don’t commit significant new crimes. Those measures should lead to significant savings by keeping the state from having to build new prison space. Ultimately, it could reduce the pressure on the prison system further by freeing money to pay for more mental health and substance abuse treatment options in Wyoming communities. But former inmates said the conditions inside the facility matter too. Deteriorating physical conditions, less programming, feeling crowded and particularly time in county jails further devalues women already near rock bottom, they said. She worried about the wellbeing of friends who remain inside, she said. Several women said they spoke to WyoFile in hopes of improving conditions for their former cellmates. Like Ellis, former inmate Darrah used a livestock metaphor to describe conditions in the women’s prison. Darrah has been incarcerated at the Wyoming Women’s Center twice. She said the facilities were better during her first stay, which began in 2008, and there were more opportunities to use her time productively. She left with a stack of certifications in vocational and personal classes, she said. When she returned in 2016, the place was more “like a stockyard,” she said. My niece has been imprisoned at WWC for over 20 years. The parole board recommended parole several years ago, but she remains incarcerated and I don’t know why. She hasn’t even been given years left to serve, so they threw away the key. She has no infractions and has completed every program they offer. The system is simply barbaric. How long will Corrections officials use the shield of “pending litigation” to avoid fully discussing prison conditions?